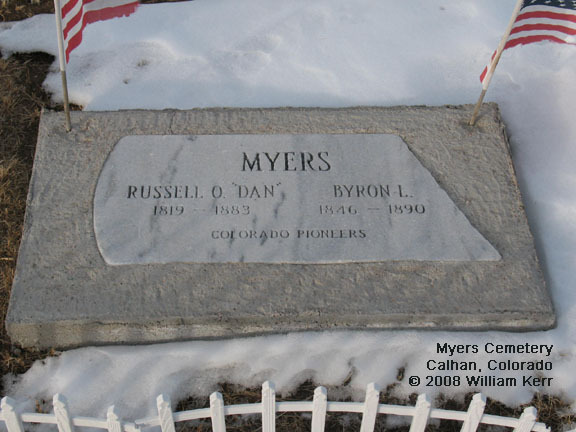 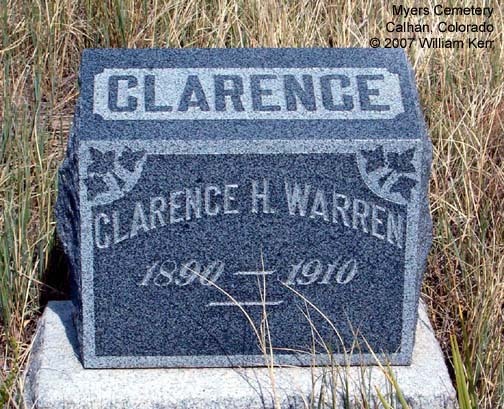 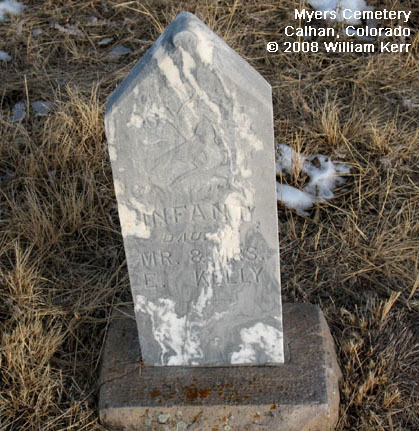 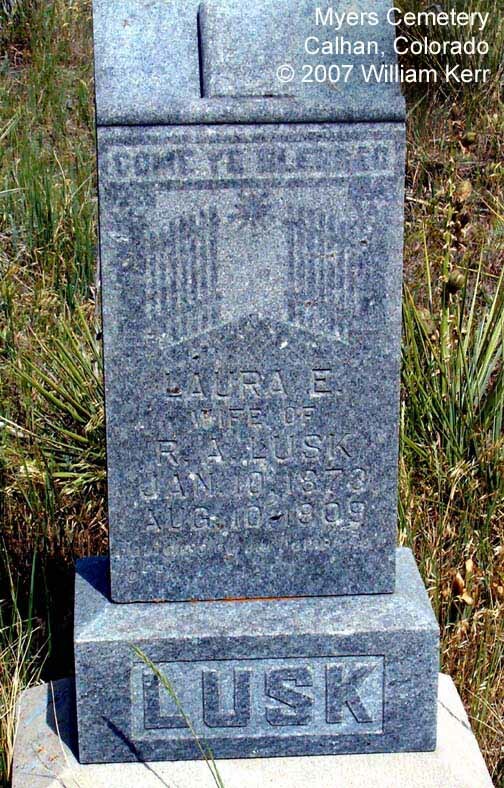 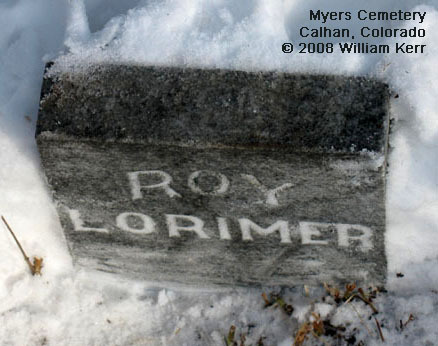 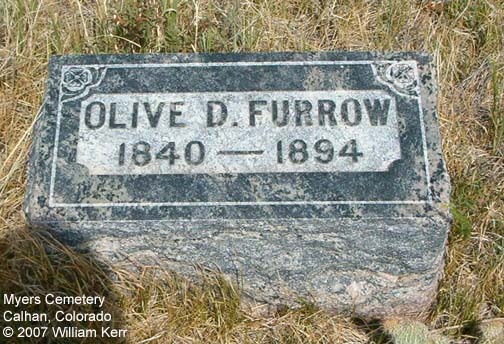 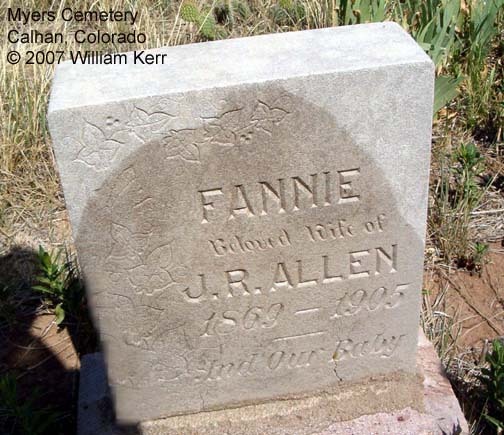 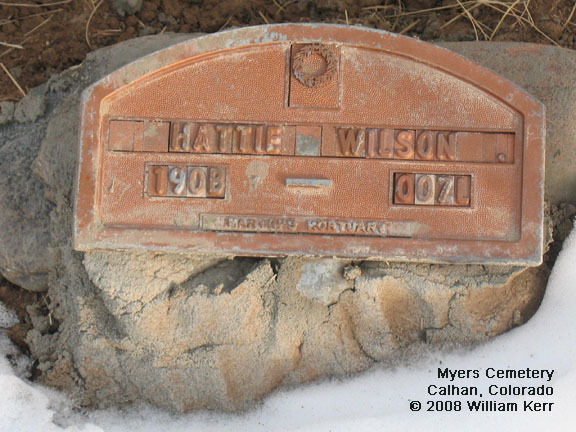 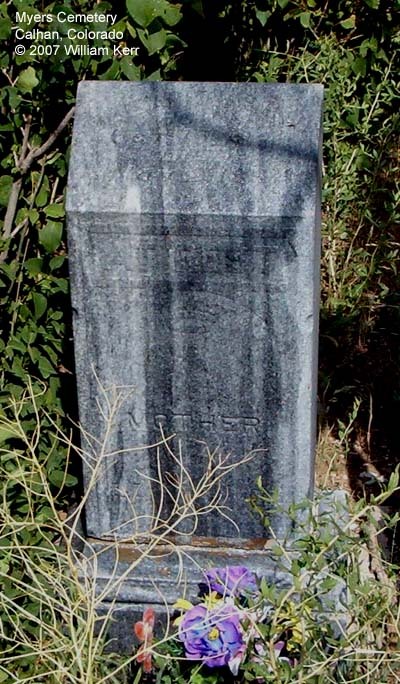 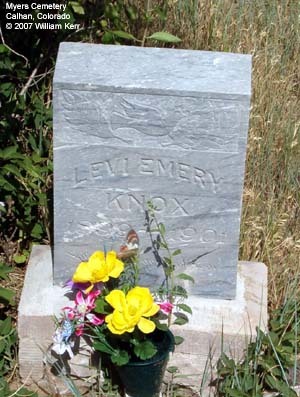 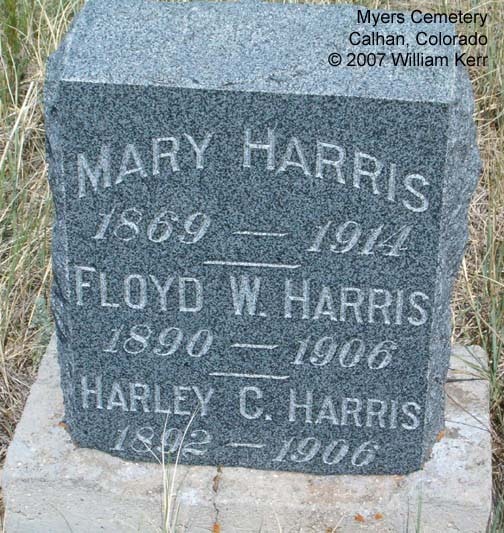 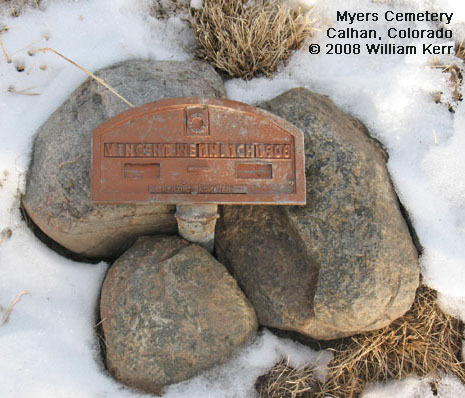 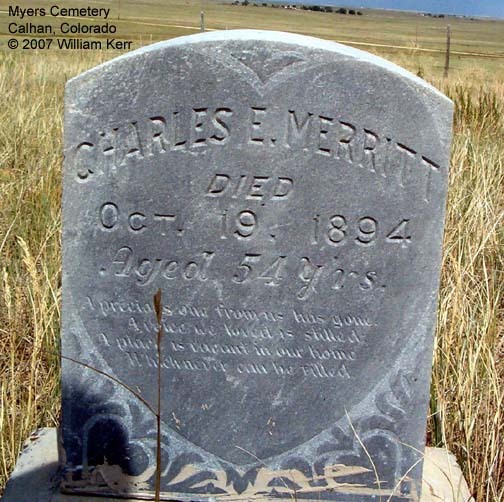 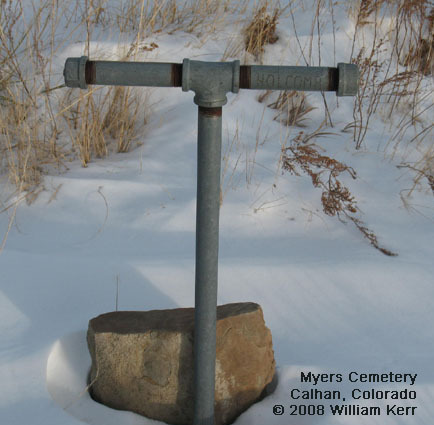 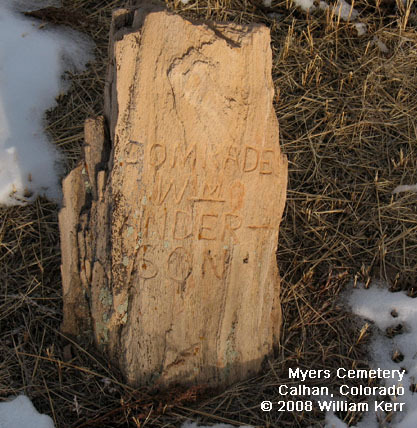 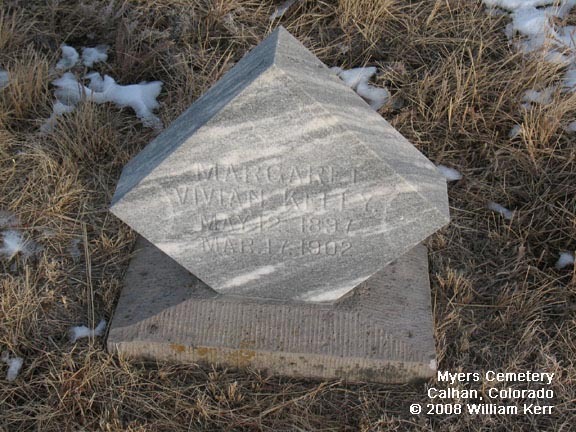 Myers Cemetery, established in 1894, is located south of Calhan, approximately 35 miles northeast of Colorado Springs on U.S. Highway 24. 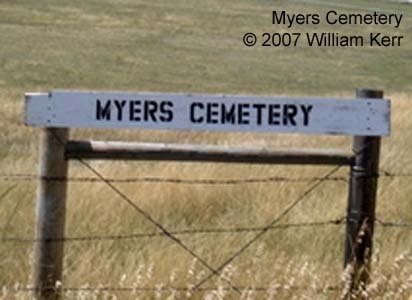 It can be reached from Highway 24 by turning south on Calhan Highway and proceeding east on Funk Road and south on McQueen Road approximately 3/4 mile. 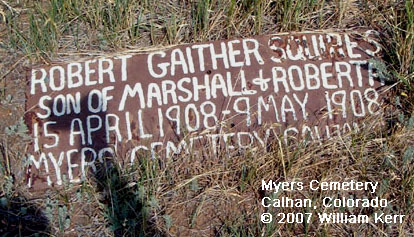 A sign for the cemetery is on the west side of the road, and the cemetery is located about five hundred yards northwest of the sign. 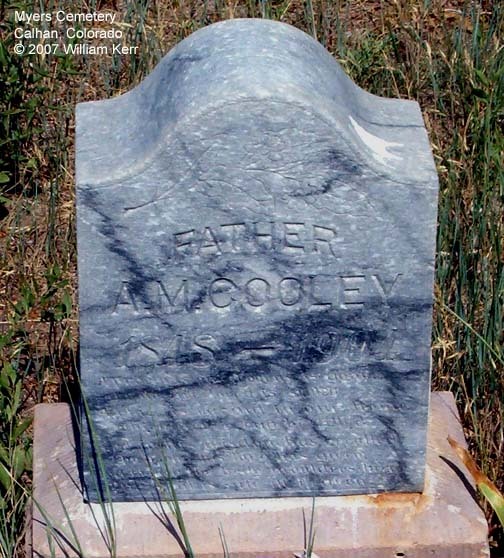 Son of William J. Cooley. 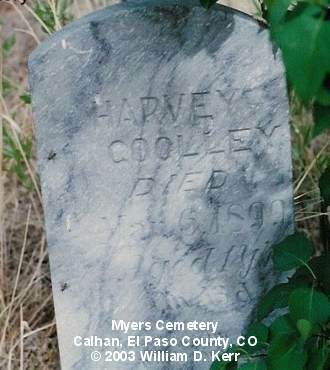 Father of Harvey Cooley. 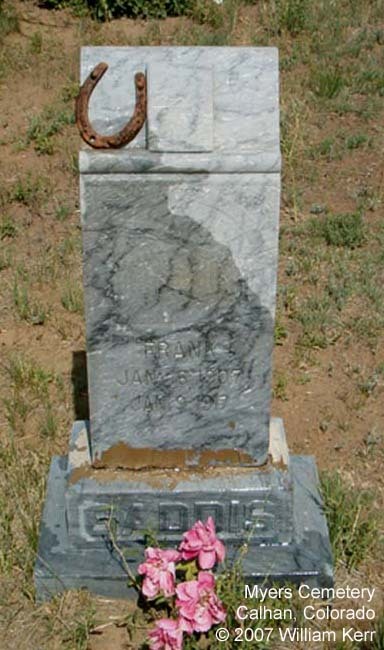 Sarah Elizabeth Smith. 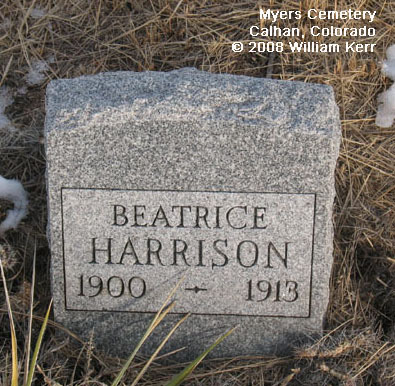 b. December 27, 1852 in Illinois; d. September 12, 1913 in Calhan, El Paso County, Colorado; she married Alexander May Cooley on May 30, 1871. 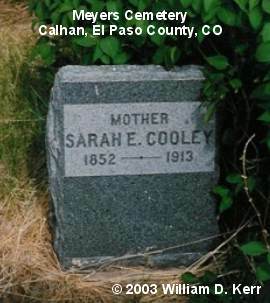 Mother of Harvey Cooley.